Beautiful, move in ready home with 3 bedrooms, 2 baths, and 1,800 sq ft of living space. Hardwood floors throughout most of home. Family room features a gas, brick fireplace. Hand made cabinets in kitchen and all appliances stay. Enjoy the outdoors from the covered back porch, fenced area with in ground pool, and gazebo. A small garden, grape arbor, blackberries, and cherry tree complete this relaxing setting. 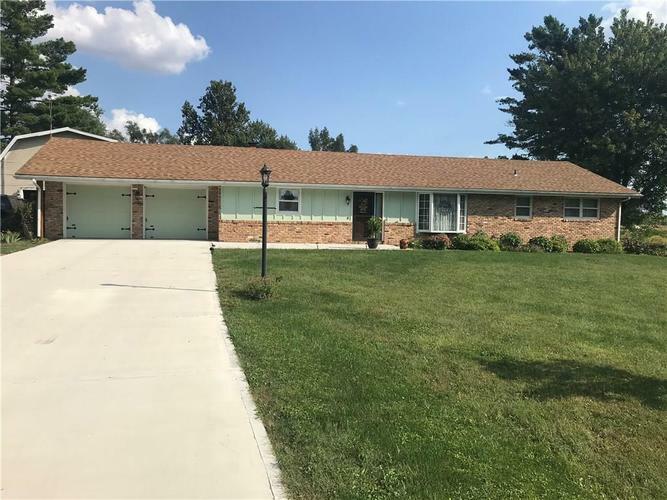 Two car attached garage with built in cabinets, cement drive, and large, two story pole barn with workshop and storage make this home one you won't want to miss. Close to shopping and highways, quiet, peaceful neighborhood. Kitchen appliances are less than 3 years old. Roof, furnace, and central air are all around 5 years old. Directions:SR 3 N to 67 Muncie Bypass to Memorial DR, E on Memorial, S on Cecil Rd, W on East Maple Manor Pkwy, house on left.